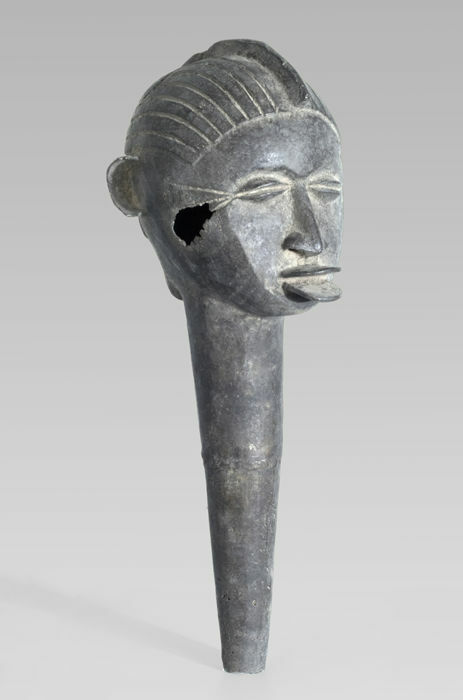 A Lobi bronze head, found in the abandoned house of a former blacksmith, who died a couple of years ago. 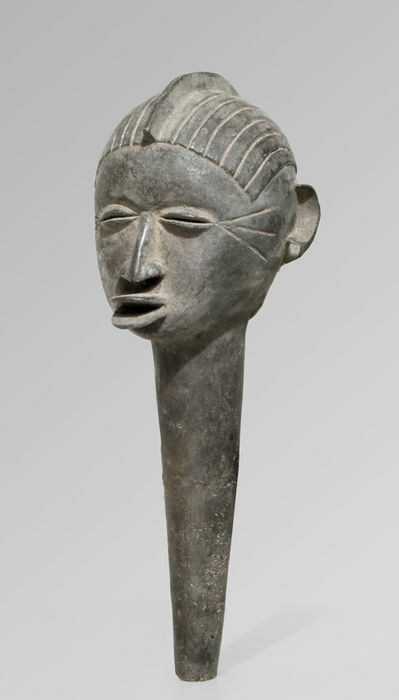 Typical of this carver is the protruding mouth, which looks a little bit like a duck beak. 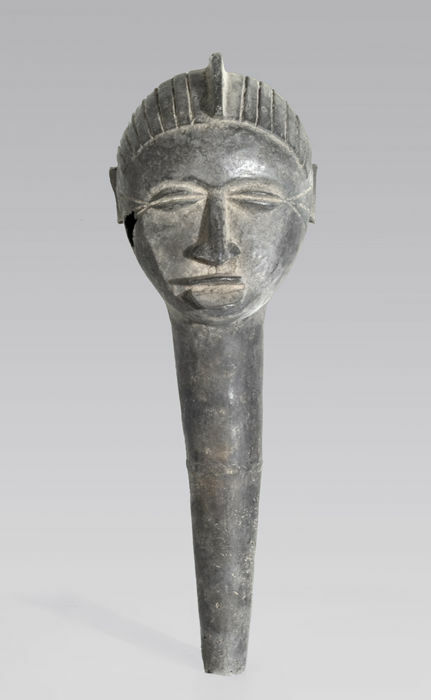 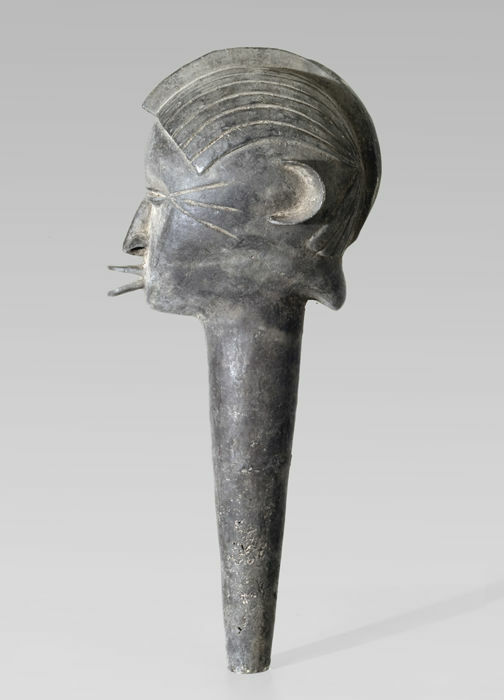 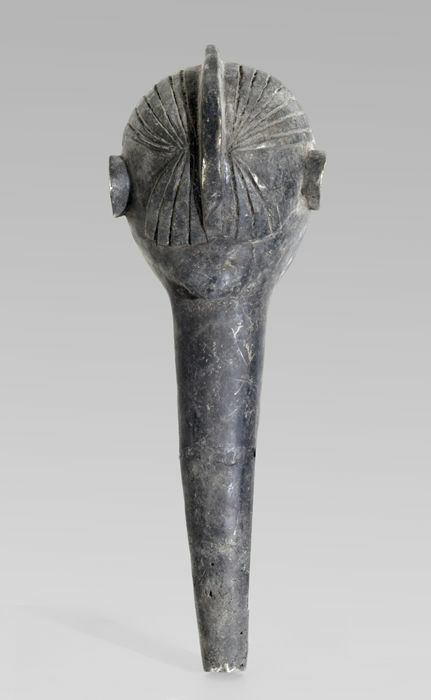 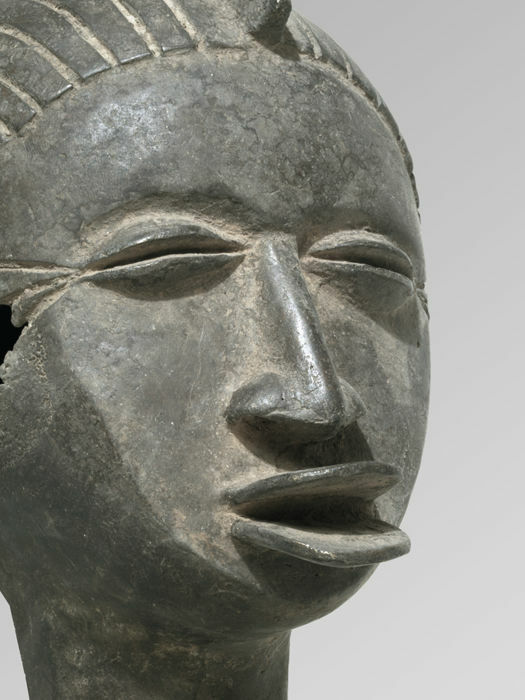 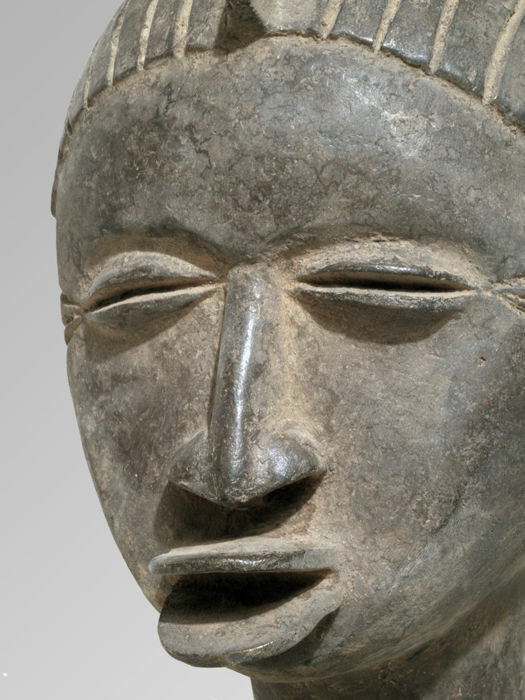 Smaller sculptures of this sculptor/workshop are known, but it is the first time a Lobi head in this size of the well-known wooden Lobi head stakes is coming onto the market. 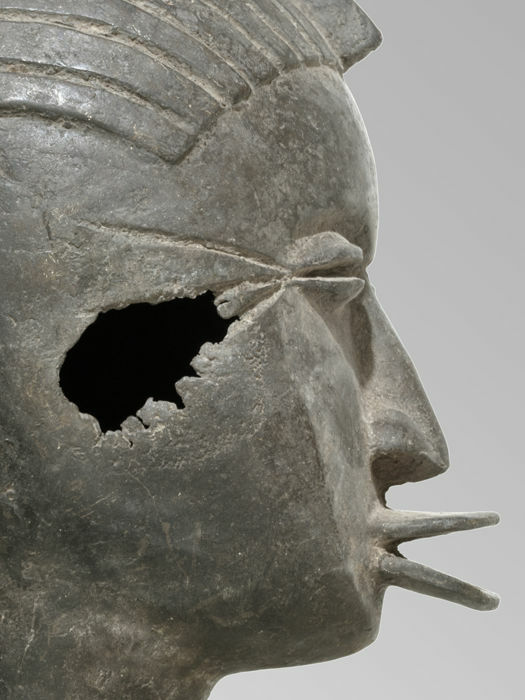 Probably a repudiated example, because the left side of the cheek has a hole, which probably isn’t from erosion, with a greyish, partly oxidised patina. 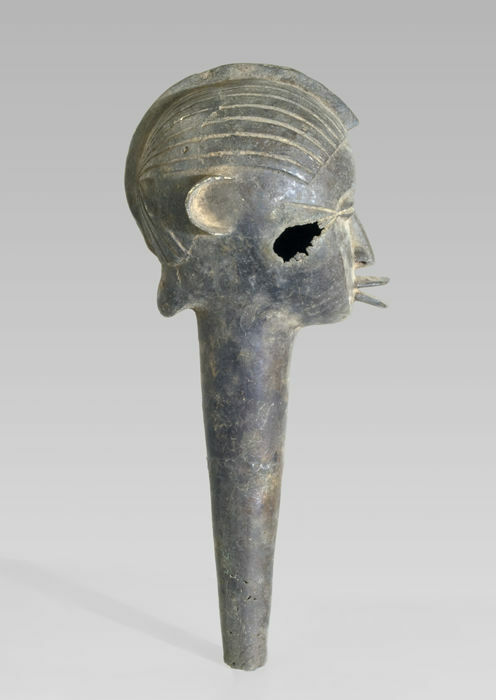 Skilfully worked with no signs of ritualistic use.